Melissa and I met when we were both participating on a dance team in Pittsburgh almost 10 years ago. We haven't seen each other in a while, but thanks to social media, we've kept in touch. Melissa now runs her own blog and YouTube channel which features full length workout videos. Her workouts are amazing and great for all levels! If you haven't checked out her videos, you're missing out! Give them a try - most of them don't even require any equipment! Thanks Melissa for sharing your story with us! My fitness blog started in grad school. Graduate school was hard, and stressful. Jesse (my husband and blog videographer) and I went to grad school together, and we lived off campus. Our commute typically took us 1.5 hours each way. Our class schedule was equivalent to a full time job, before factoring in homework and reading assignments. Jesse and I also worked part time at a restaurant so time was short, and we were very busy. Prior to starting graduate school, I was enrolled in a yoga certification program, teaching yoga 5X per week, and running with Jesse. I found that I really missed teaching. Sometimes in between classes I would teach yoga to our classmates in the park across the street, or even in the hallway outside of our classroom. I was also experimenting with new workout styles. Running and yoga both take a lot of time, which I was very short on. Soon I was teaching these new workouts to my classmates, and I found that when I was teaching I felt much happier and more fulfilled. At the same time I was getting more and more questions about what I did to stay in shape. When people found out that I didn't workout in a gym they were perplexed. How was I staying in that kind of shape at home and without lifting weights? My background in yoga had helped me form a very holistic view of creating strength and balance in the body. In graduate school we had a wonderful anatomy teacher that expected us to do more than memorize muscles and planes of movement. We were required to understand the functional movements of each muscle, and which activities and motions would be limited if these muscles were weakened or paralyzed. We also learned which muscles were activated when moving your body through different planes and the biomechanics impact of inefficient movement patterns. We physically saw these muscles in our cadaver lab courses, which was very mentally and emotionally challenging for me, but expanded my understanding and appreciation of the human body. Throughout this process, my workouts and my body were changing, and people continued to ask about my workouts. My passion for wellness was also being further cultivated in my courses as I learned how many diseases and illness processes could be prevented through healthy lifestyle changes. It occurred to me that many people didn't know what they could do to improve their health and fitness at home. So many people think that exercise only occurs in a gym, and it takes hours each day to get in shape. As we entered our second year of graduate school, I was feeling tired. I knew that I needed to do something that was not school or work related for the pure pleasure of the pursuit. I wanted to help people on a larger scale, and share something that I loved and was passionate about. I wanted to right an occupational injustice that occurs when people think it takes a lot of time and money to be fit and healthy. Everyone has the right to a healthy and fit lifestyle, and that should be free. There is a lot of talk about prevention and wellness programs, but it is an emerging area. A lot of wellness programs have a mission, but they lack a method of sharing that mission on a large scale. I turned to my blog and youtube channel and I started sharing my workouts in the hopes of showing people that they could do this at home. I started my blog in 2011, and since that time I have shared every workout that I do to get in shape and stay in shape. As of the time that I am writing this, that is over 450 different free home workout videos. 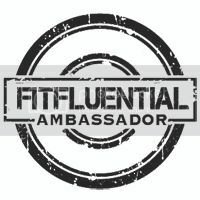 I started my blog out of a passion for fitness, and I continued to share that love. I have been amazed at the response I have gotten throughout this process. Some people don't understand why I spend so much time blogging, but for me it is very rewarding. To see people make positive changes in their lives, their health, and their self perception is an amazing thing. I believe that fitness helps improve the quality of your life, your health, and your future. When people send me pictures of their results, or of themselves doing my workouts with their families I feel that I am making a positive impact on people's lives. 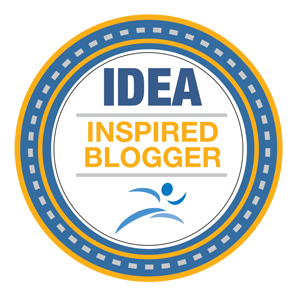 I am thrilled at the success my blog has experienced thus far. If you are a blogger, fitness or otherwise, my advice to you is to share something you love. Share something and be consistent. If your blog is driven solely by increasing your views it may be time to rectify your approach. Drive your blog by creating content that you are passionate about and offer your readers something that will benefit them. Thank you for taking the time to read this, and a special thank you to Jillian for asking me to share my story. Which Bender Fitness workout will you try first? I wanted to thank you for feature Melissa Bender. We need more people in the world like you and her( and jesse! ), people that are unselfish with their time and helping people for the sheer joy of it. I have lost 31lbs to date with benderfitness.com only, it has truly changed my life. Thank you both! Melissa, I regularly do your workouts. You are freaking AMMMMAAAAZZZZZZING!!! I do Jillian Michaels and P90X and you Never fail to make me woozy haha.!. You are a Beautiful Beast!!!! Keep doing what you are doing!!! You're AMAZING! Truly inspiring and I appreciate all that you do. Great feature with Melissa!! I started following her after I had my second baby last year. It was hard to go to a gym with a newborn and a 3 year old. I have seen my 35 year old body transform in less than a year to better shape than I was at 25! Her willingness to teach and enthusiasm really make the workouts enjoyable! My now 4 year old little girl likes to "work on our fitness" to Melissa. Hi Melissa. Just found your blog and I love it. I've been an athlete my whole life and the older I get, the more I see it as my meditation. I'm due with my third child in April- 3 kids in 3.5 years. It's taken a toll on my body. I'm a yoga teacher and ran my first triathlon before finding out about my third pregnancy, so I've stayed in somewhat good shape. I was wondering what where the best HIIT workouts for someone just coming off of a pregnancy (post 6 weeks). I know I'll be a bit out of shape and don't want to overdue it at first... any suggestions?